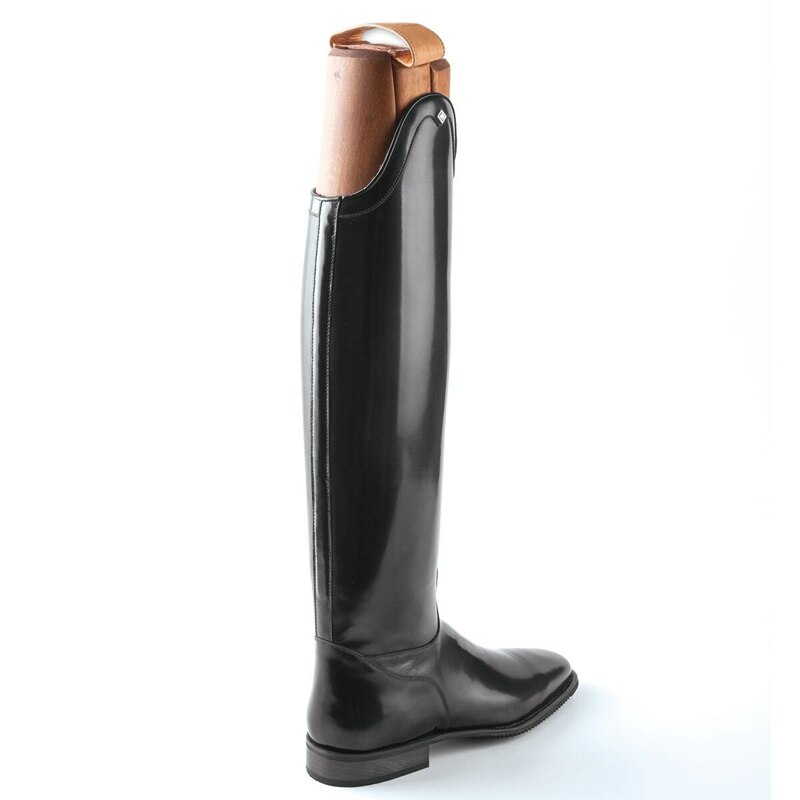 Classic elegance, modern features, and exceptional craftsmanship make the DeNiro Brushed Leather Dressage Boot stand out from the crowd. 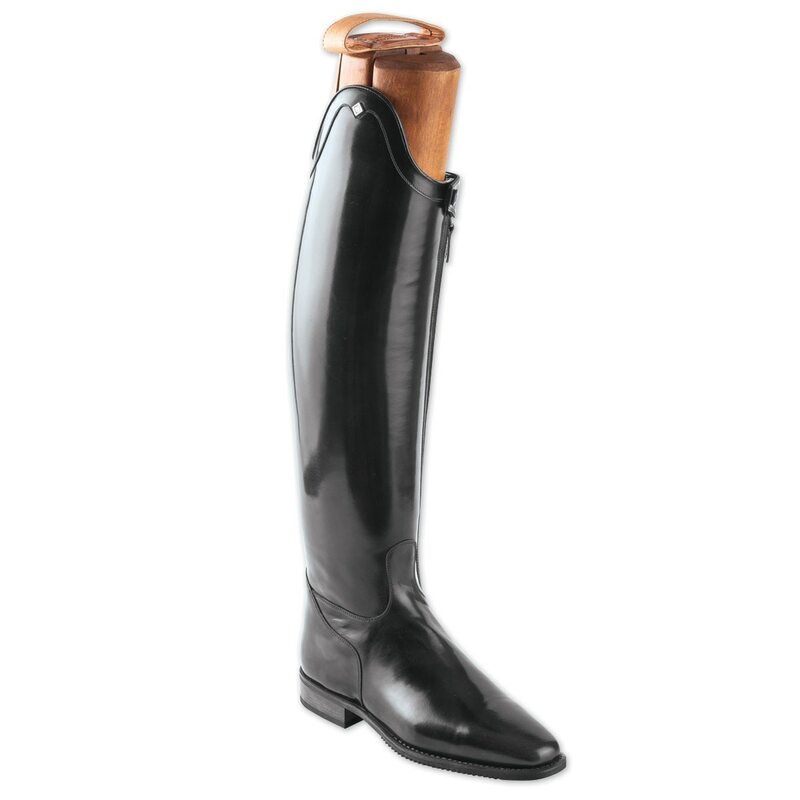 DeNiro Brushed Leather Dressage Boot is rated 4.9 out of 5 by 15. Rated 5 out of 5 by horseygirl550 from Gorgeous! Beautiful boots! Very well made! They will break in quickly. Treat yourself well! Rated 5 out of 5 by Sarah from Deniro Boots Beautiful boots. I ordered the Standard height which was not tall enough. Returned them. Waiting for the replacement shipment. Rated 5 out of 5 by Mego from Beautiful for the show ring! I've worn these boots 4 times (wanting to begin the arduous task of breaking them in before an upcoming show) & already they are very comfortable! 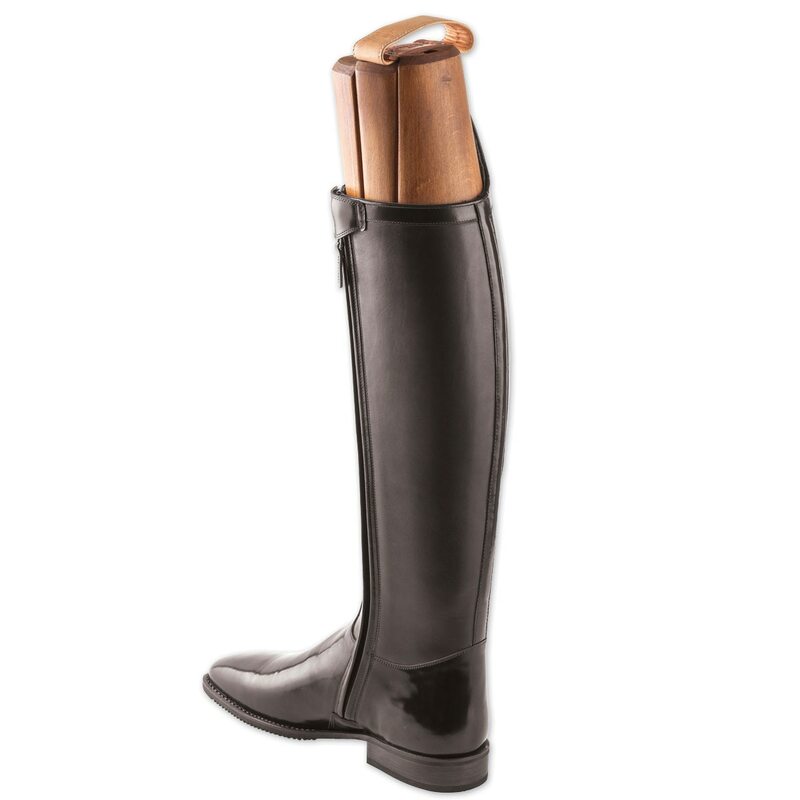 I have 2 other pairs of DeNiro's, in the regular leather, bought from SmartPak. The fit is not exactly the same, although the sizes are. Foot & ankle are considerably narrower. Lucky for me, this is not an issue, but they do seem to be sized quite differently. With that said, I love these boots. 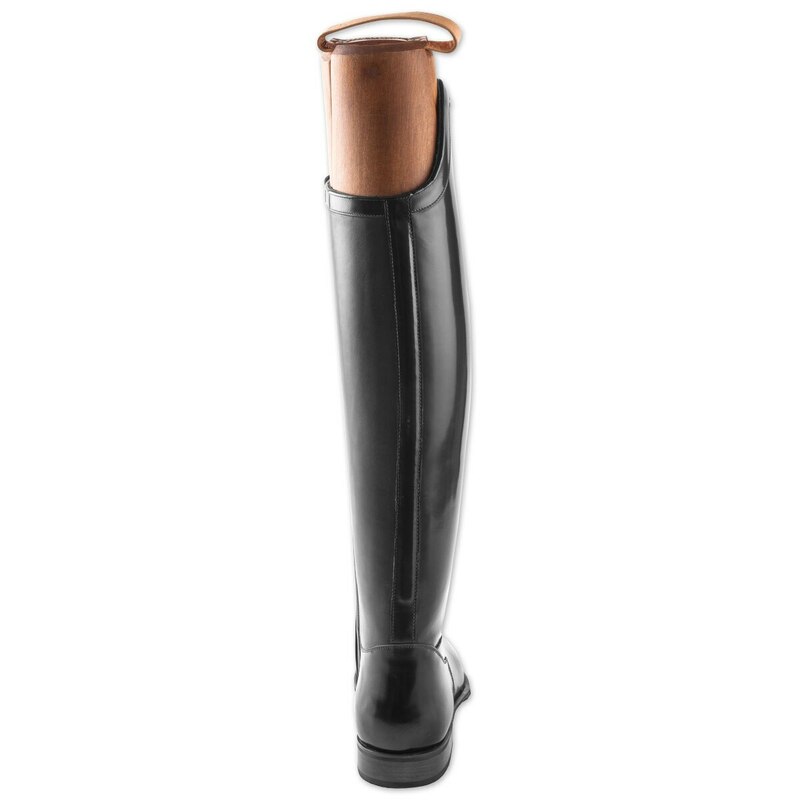 Rated 5 out of 5 by Allstarpony from Love These Boots!!!! 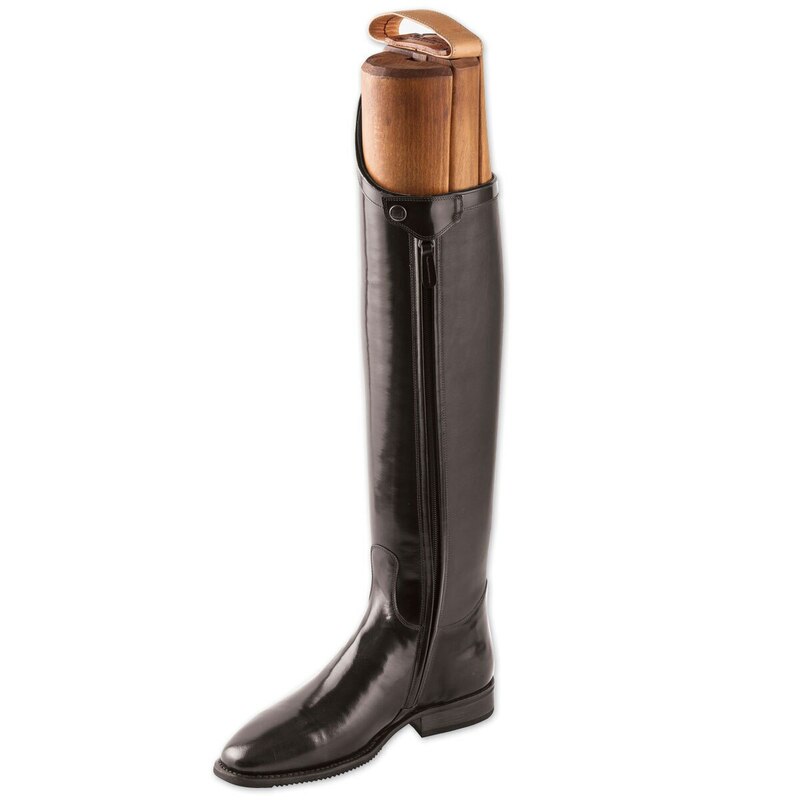 I've been looking at these boots for well over a year and when smartpak had the Big17 sale I bought them which took them down to $849 which was a deal compared to what we spend on fancy custom dressage boots!! So, with a cloth tape I figured they would be as perfect as customs and they are! I got the size 9 in the large calf, extra tall and they are perfect!!! I wore them to the barn and all my Konig friends loved them and a few are going to order as well after seeing mine in person! I have had Konig 8k in the past and frankly hated them. 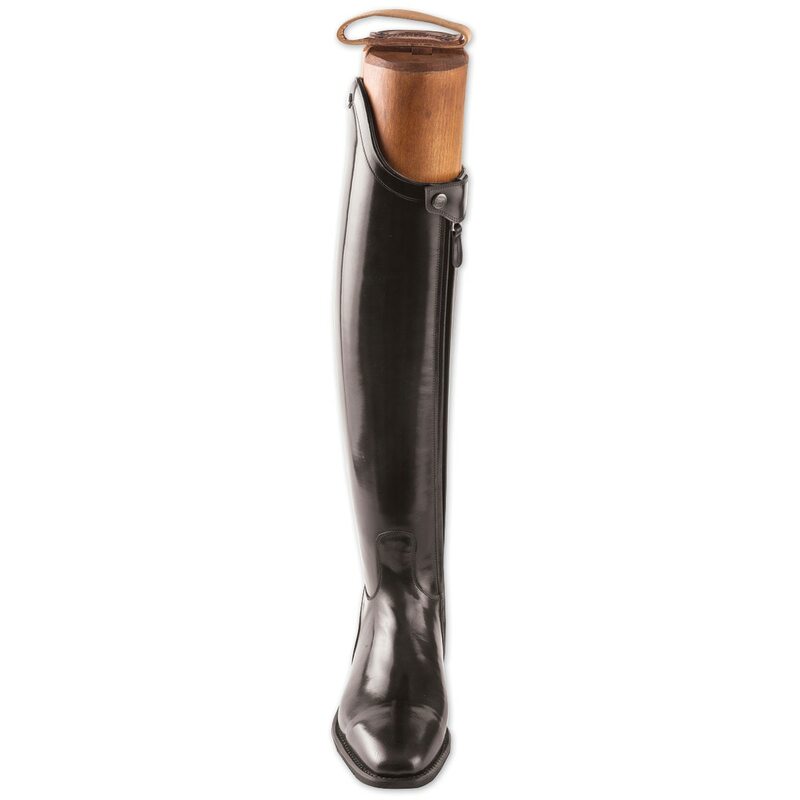 I will break them in and only use for shows as they have a softer leather for better feel on the inside and riding as many horses as I do, I don't want to ruin them. I did not have any trouble at all with the zipper placement at the top of the boot as others stated and I feel I have a pretty good leg position and didn't rub on my saddle so not sure what happened with the other reviewer just my opinion... also zippers seem to be good quality so time will tell. 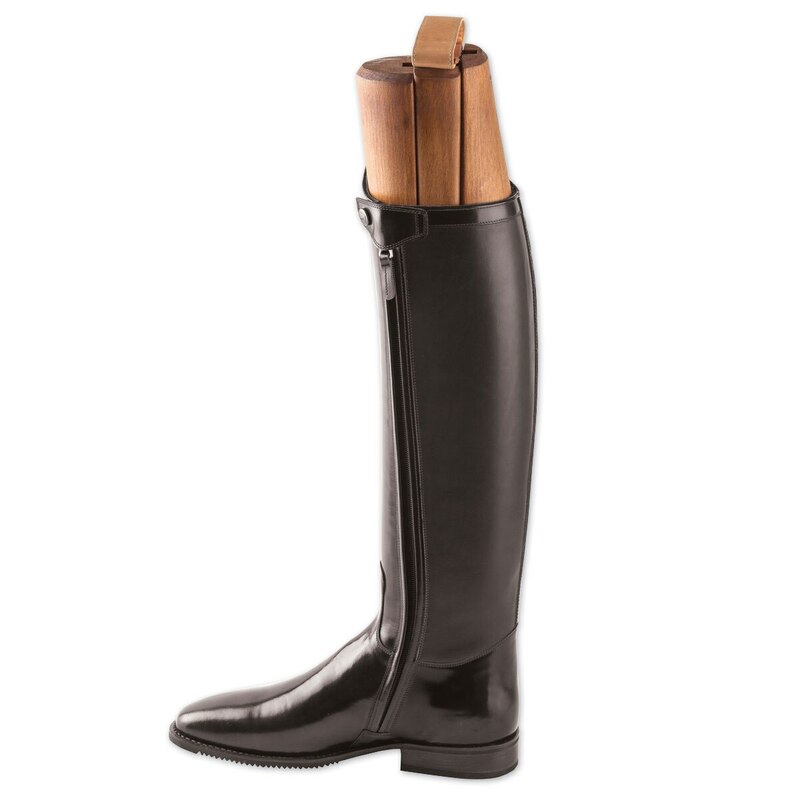 My boots fit perfectly not to tight or loose so no undue stress of my leg squeezing and pressuring the zippers which I have experienced in my jumping boots before. I only gave 4* for Quality as I have had them for a very short time so time will tell. 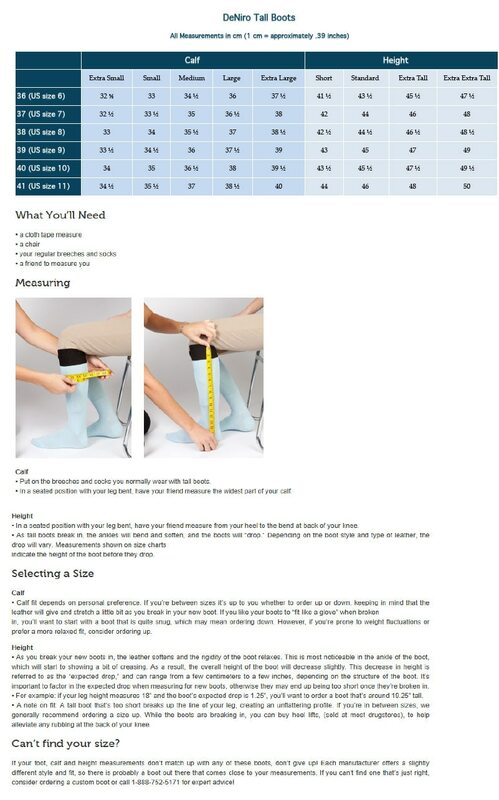 Of course they are tight in the heal/ foot as others stated,....do yourself a favor and get some boot stretch and slippos / Equi gel foot ankle protectors and you will be good! and also heal lifts may help....... Oh and Slippos are the same as the Equi Gel but half the price on amazon ; ) More $ for our horsey habits! Rated 5 out of 5 by Ida1 from THESE BOOTS FIT ME LIKE A GLOVE RIGHT OUT OF THE PACKAGE... VERY CLASSY LOOK! 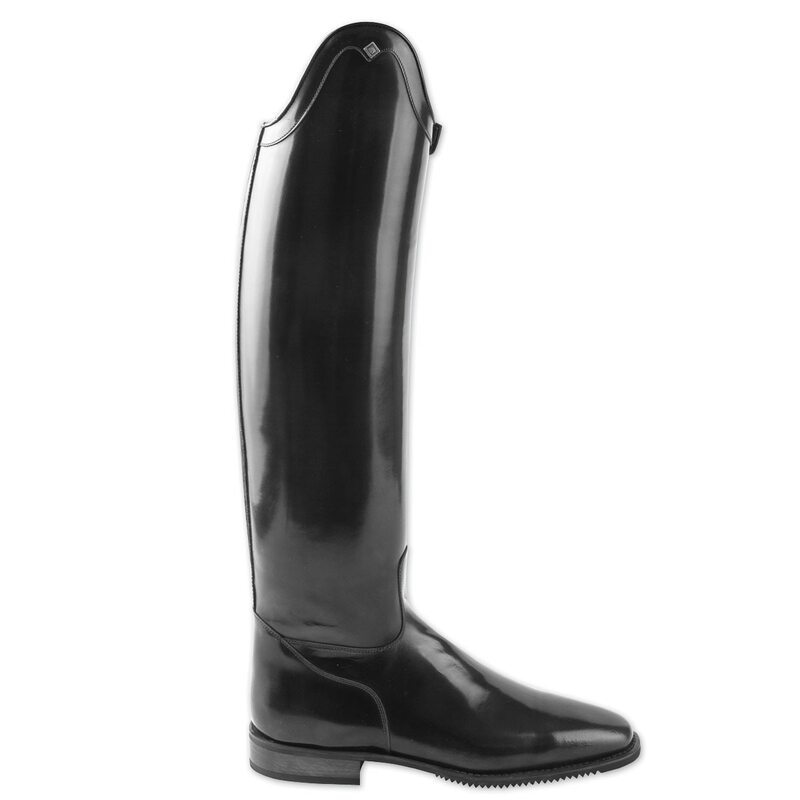 Rated 5 out of 5 by Zoelovesdressage from I love these boots! I purchased these first in a shorter length and larger calf. I returned them and asked for the different size. It was very easy to exchange. I would advise measuring the calf rather snuggly, so they aren't too big around. The size I have now feels pretty perfect in size. They are really beautiful and I am still breaking them in but think they will be comfortable. SmartPak made exchanging very easy, and free shipping both ways was great. Rated 5 out of 5 by Valerie from Great fit and look fantastic! Love these boots. The break in period was about two weeks, nothing horrible. They didn't break down too much, and the high Spanish top looks elegant. The shine on these boots are amazing! I've received so many compliments. Rated 4 out of 5 by Eliz from De Niro Boots. Very narrow I bought these in hopes of having my show boots but I have wide feet and there was no way these were going to fit. Very ssad because they are beautiful! Rated 5 out of 5 by Kate from SO SHINY I bought these to be my sole show boots. They are amazing quality and they fit fairly well, especially for their price. 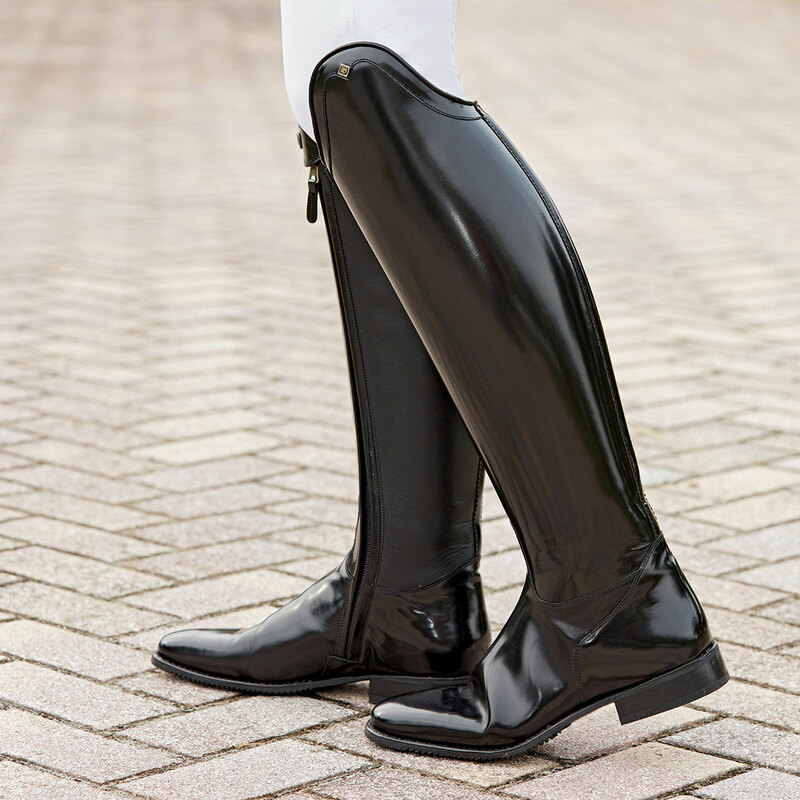 I would highly consider these if you are in the market for new, flashy boots. I got short height, large calf and size 9. The ankle is a little large, but everything else fits fine!